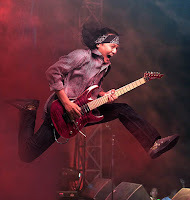 www.gitarisindonesia.com - Edo Widiz Was Born in Jogjakarta August 15, 1971, he is a Rock Guitarist, he is also a guitarist of Voodoo band, Voodoo is a band of Progressive Rock and Heavy Metal Indonesia origin Jakarta formed on July 12, 1991. 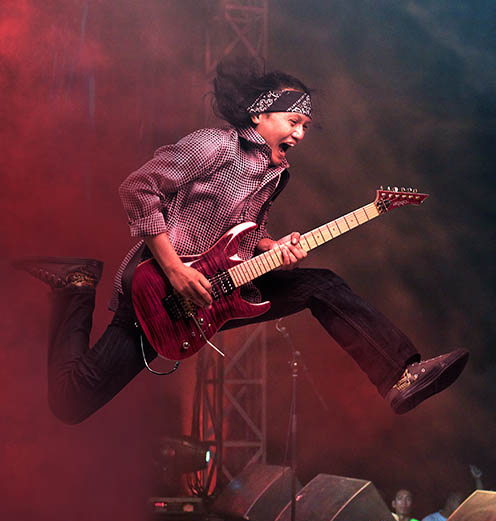 Voodoo is known for their slow rock hits entitled "Salam untuk Dia" achieved sales up to hundreds of thousands of copies. In addition Voodoo is also known for their elaborate songs and full of skills. Voodoo in gawangi by 4 Indonesian musicians with a fantastic ability. Many experiences that need to be downloaded from this guitarist, both in terms of how to learn guitar to be successful as a musician and guitarist And Teacher.